Find A Grave, Inc., Find A Grave, digital image (www.findagrave.com : accessed 26 January 2019), photograph, Lorenz Stoehr (1790-1876), Memorial No. 69221239, Elgin City Cemetery, Elgin, Fayette County, Iowa; photograph by Tammy Miller, 2015. 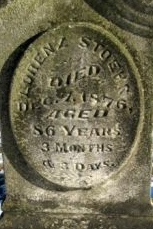 This entry was posted in Tombstone Tuesday and tagged 1800s, 1870s, Bavaria, family history, genealogy, Germany, gravestone, immigrants, Iowa, Stoehr, Stohr on January 29, 2019 by Melanie Frick. 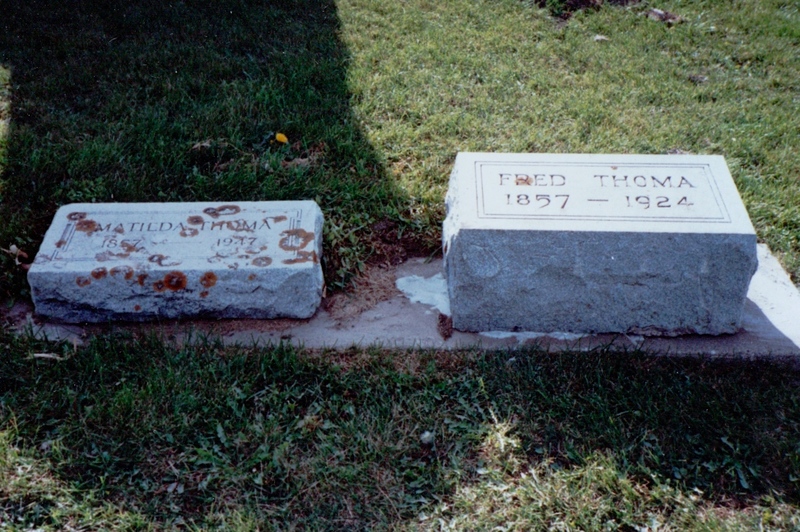 Grave of Mathilda Thoma (1857-1947) and Fred Thoma (1857-1924), Garnavillo Community Cemetery, Garnavillo, Clayton County, Iowa; image date unknown, privately held by Melanie Frick, 2015. 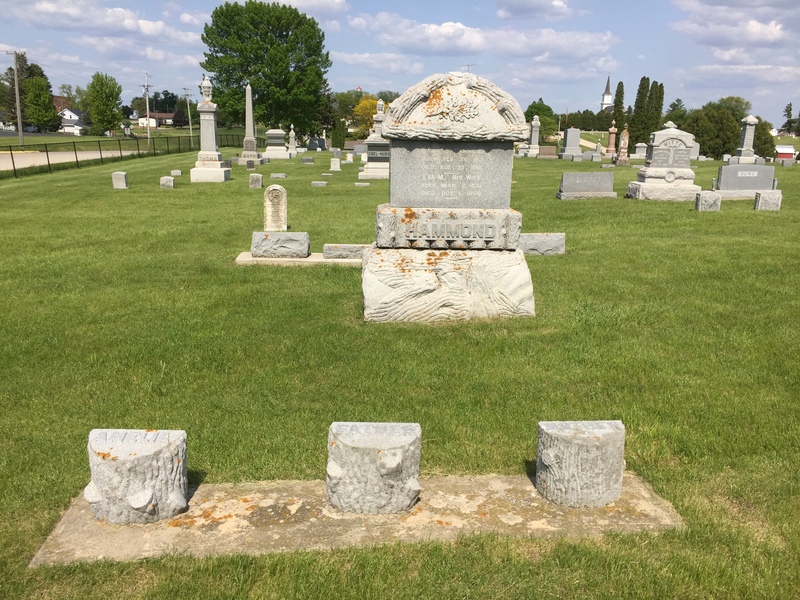 This entry was posted in Tombstone Tuesday and tagged family history, genealogy, gravestone, Hammond, Iowa, Poesch, Stoehr, Thoma on March 31, 2015 by Melanie Frick. “Local Review,” The Postville (Iowa) Weekly Review, 29 May 1893, p. 1, col. 4; digital images, Newspaper Archive (http://www.newspaperarchive.com : accessed 18 February 2014). Well then! I can only imagine that poor Mrs. Hiram Hammond – born Eva Margaret Stoehr – must have been most distressed at this unexpected turn of events. She had likely only recently moved to town, while her husband prepared to put their farm up for sale.3 Hiram had turned eighty that year, while his wife was over sixty.4 After years of labor on their farm, they must have looked forward to a quiet life in town. Postville was certainly not a large community, yet apparently large enough that a man (or, perhaps much more likely, a teenage boy) could get away with a destructive prank. However, if this was the worst that Postville had to report, it seems that things really may not have been all that bad! 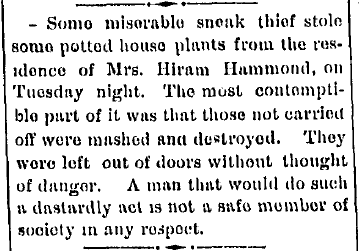 One can only hope that in the years to come, Mrs. Hiram Hammond was able to enjoy her potted house plants without further incident. What is one of your favorite stories about an ancestor that you’ve found in a historic newspaper database? There are several excellent databases out there; so far, I’ve had positive experiences with Chronicling America (free) and NewspaperArchive (subscription). Be aware that different databases may offer access to different areas and periods of coverage. Also be sure to find out whether your local library provides free access to any useful newspaper databases, which can often be accessed from home. This entry was posted in Uncategorized and tagged 1890s, family history, genealogy, Hammond, historic newspapers, Iowa, Stoehr on February 19, 2014 by Melanie Frick.